The government of the Republic of Guatemala officially confirmed on Tuesday April 23rd that they are backing out of a joint referendum that was agreed on with Belize and scheduled for October 6, 2013. The decision was announced after the legislative arm of the Guatemalan government presented a recommendation to pull out from the agreement citing three reasons. One of the three reasons has to do with the 60% threshold of voter turnout required by Belize law to make a referendum binding. The decision by the Guatemalan government has been communicated to the Organization of American State (OAS) who is serving as the mediator in the entire diplomatic negotiation on the Guatemalan territorial claim over a portion of Belize. According to the Guatemalan government, given the circumstances now, they do not foresee a positive result going forward with the joint referendum, thus taking the decision not to submit to a referendum. Fernando Carrera, Foreign Minister of Guatemala said that the government decided to suspend the referendum that was scheduled for October 6th as a way to settle the dispute with Belize. Carrera also told reporters that a letter was sent to the Legislature, informing them of the decision and for them to determine the legal path to follow, a decision that was also transmitted to the Supreme Electoral Tribunal of Guatemala. The Supreme Electoral Tribunal of Guatemala has also been informed to suspend any further consultation with the public on the October 6th referendum. Carrera explained that there are three barriers that currently exist that can affect a positive outcome if they would have continued with going to a referendum. He said that there are not the best educational conditions for a referendum that will see their claim settled at the International Court of Justice (ICJ). He explained that the best outcome they would have wished for is it to go through and that the people would vote in favor of going to ICJ. The other obstacle is that Belizean law requires a 60% voter turnout so that it is legitimate and acceptable. “Today we feel that it is an obstacle that can impact a positive result,” said Carrera. The financial constrains brought on by a referendum without the guarantee of a positive result is the third barrier. Guatemala had planned to spend 270 million quetzals in the entire process. “What most concerns us is that finally we are making a financial effort in going through the entire process. However there is no guarantee that if we go to a referendum that it will have a positive result in both countries and in effect we would not be able to settle the claim through the ICJ. We want to ensure that we create the conditions so that we can go to the ICJ, “said Carrera. The President of Guatemala Otto Perez Molina said on Monday April 22nd, that Carrera reported last week to the Secretary General of the OAS, José Miguel Insulza, about their decisions. “The OAS already knows of the decision, that in the given conditions, we (Guatemala) will not participate in the joint referendum. The secretary understands our arguments, “stressed the president. Earlier this month both the Government of Belize (GOB) and Belize’s main opposition party, People’s United Party (PUP), rejected Guatemala’s proposals. The first proposal was that Guatemala wants Belize to amend the referendum legislation so that the legislation is identical to theirs in terms of the requirements for the referendum to be successful – just a simple majority vote. 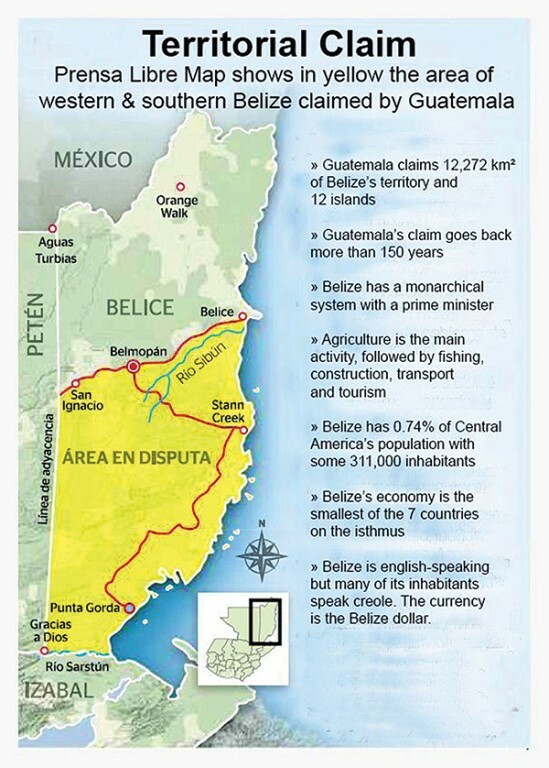 The second proposal was that Belize would go ahead as planned; have a referendum on October 6th and if Belize had a successful ‘yes’ vote at that referendum, then Guatemala would be prepared to hold their referendum at a date not later than the end of June 2014. 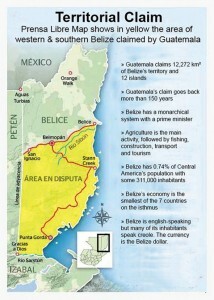 There has been no official reaction from the government of Belize regarding the new development.